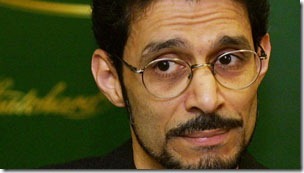 Toronto-area writer Rohinton Mistry has won the $50,000 US Neustadt International Prize for Literature, awarded for outstanding achievement in poetry, fiction or drama. An international jury representing nine countries selected Mistry for the biennial prize. Mistry is the author of 1991’s Such a Long Journey, which won the Commonwealth Writers’ Prize and the Governor General’s Award. He also wrote the acclaimed follow-up novels A Fine Balance and Family Matters. Most recently, he released the story Scream. "I am delighted with the news. It is, needless to say, an honour to join the list of Neustadt laureates,” Mistry said in a statement issued Monday by his publisher. Jury member Samrat Upadhyay nominated Mistry for the award. “Mistry writes with great passion, and his body of work shows the most compassionate and astute observations of the human condition, making him one of the most exciting and important contemporary novelists writing in the English language,” he said. Born in 1952 in Mumbai, Mistry has a degree in mathematics from the University of Bombay and a BA in English and philosophy from the University of Toronto. Mistry wrote his first short story, One Sunday, in 1983. It won first prize in the Canadian Hart House Literary Contest. Three of his novels have been nominated for the Man Booker Prize. A Fine Balance won the Scotiabank Giller Prize and was chosen for Oprah’s Book Club in 2001, while Family Matters won the Timothy Findley Award from the Writers’ Trust of Canada. "The world will quickly discover the excellence of Rohinton Mistry’s luminous fiction that the Neustadt jury acknowledged with this choice. Giving the award to Mistry is inspired," Robert Con Davis-Undiano, executive director of the magazine World Literature Today, said in a statement. Mistry is expected to accept the award at the University of Oklahoma in fall 2012. The university sponsors the prize along with the Neustadt family and World Literature Today.